Irbid anciently known as Arabella is Jordan's 2nd largest city located about 85 km (53 miles) north of Amman, and housing two very worthwhile museums. Irbid anciently known as Arabella is Jordan's 2nd largest city located about 85 km (53 miles) north of Amman, situated at an equal distance from Pella and Umm Qais, and is a bustling community with a large university (Yarmouk University). Though not an important city for sightseeing, Irbid houses two very worthwhile museums, and forms a good base from which to explore the northern Jordan Valley or to start a trip to Umm Qais, Pella, Ajloun, Umm el-Jimal, or Syria. Artifacts and graves in the area show that Irbid has been inhabited since the Bronze Age. Pieces of pottery and wall stones found at Tell Irbid were estimated to be made in 3200 BC. 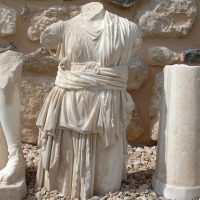 In the Hellenistic period, Irbid, then known as Arabella was a major trade center. Before the advent of Islam, Arabella was famous for producing some of the best wines in the ancient World. The area in the region had extremely fertile soil and moderate climate, allowing the growing of high quality grapes. After the Muslim conquests, it came under the rule of the Muslim Empire, the city became known as Irbid, and shifted from wine to olive oil production. Irbid, nowadays, retains the bustle and charm of provincial Middle Eastern town that has not been disfigured by the consumerism and modernism that have made such a big impact on the large cities.